IIM Bangalore has announced a partnership with two premier German B-schools - the Friedrich Alexander University of Erlangen-Nuremberg (FAU) and the Fraunhofer Institute for Integrated Circuits IIS, Germany for an International Management Programme for Technologists (IMPT). Bengaluru (September 20): The Indian Institute of Management Bangalore (IIM Bangalore) has announced a partnership with two premier German B-schools - the Friedrich Alexander University of Erlangen-Nuremberg (FAU) and the Fraunhofer Institute for Integrated Circuits IIS, Germany for an International Management Programme for Technologists (IMPT), an innovative Executive Education Programme. 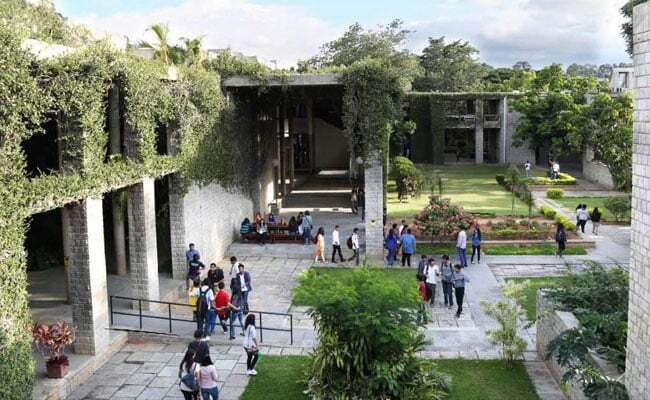 The IMPT is designed by the three management schools to enable technology leaders respond effectively to challenges and complexities that they face, said a statement from IIM Bangalore. Offered to engineering and technology managers, R&D leaders, product designers and architects, and managers in charge of large and complex projects in India and Europe, the unique two-week programme will be offered at both locations, with participants traveling to Nuremberg and Bangalore for one week each. "The IMPT distils the key elements of Indian and German technology ecosystems to deliver the competencies required for global business. The Erlangen Nuremberg area in Germany is the origin of Industry 4.0, and is known for its manufacturing excellence. Bangalore is home to a vibrant technology start-up ecosystem and is widely considered to be the Silicon Valley of India," Prof. R. Srinivasan, Chairperson, Executive Education Programmes at IIM Bangalore said while highlighting the key takeaways of the new programme. The partnership, according to IIM Bangalore, brings together best-in-class academicians and leading researchers on strategic innovation, cooperation and management, and the digital transformation of organizations. "The IMPT helps participants understand how to compete using technology and leverage the benefits of open innovation in a sharing economy, and promote intrapreneurship," Prof. Dr. Kathrin M Moslein, Chairperson, Information Systems, Innovation and Value Creation at Friedrich-Alexander University of Erlangen-Nuremberg said. "It will equip managers to work in cross-functional, cross-cultural and geographically distributed teams," he added. Friedrich-Alexander University of Erlangen-Nuremberg is one of the largest universities in Germany with a strong research and innovation focus. Reuters has ranked it the second most innovative university in Germany and sixth in Europe. QS World University Rankings has ranked it as the institution with the most widely cited publications in Germany. Fraunhofer Institute for Integrated Circuits IIS is one of the world's leading application-oriented research institutions for microelectronic and IT system solutions and services. It ranks first among all Fraunhofer Institutes in size and has received worldwide recognition for its technologies such as mp3 and the co-development of Advanced Audio Coding (AAC).